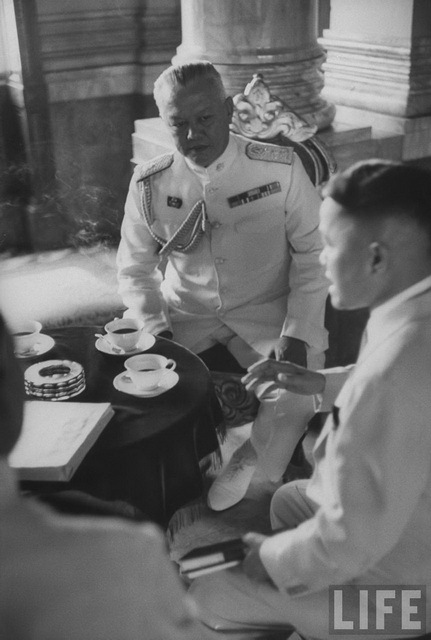 Police Chief Gen. Phao Sriyanond sitting in full dress uniform, discussing plans for security for upcoming SEATO conference with an associate. 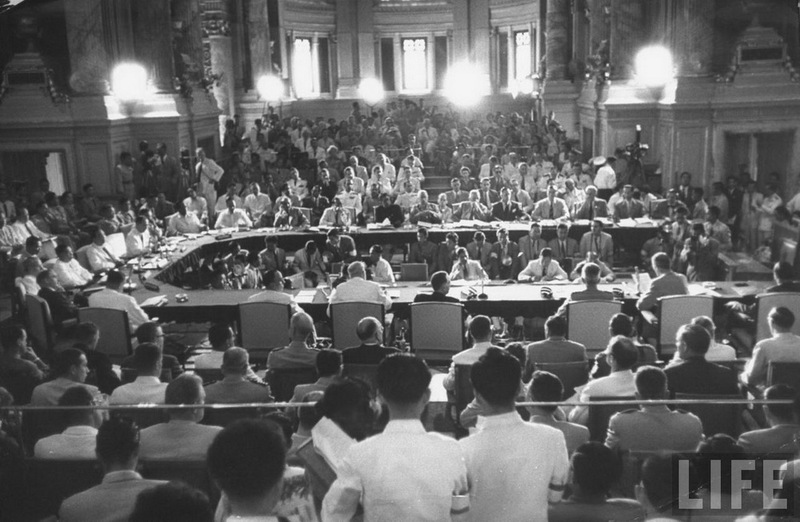 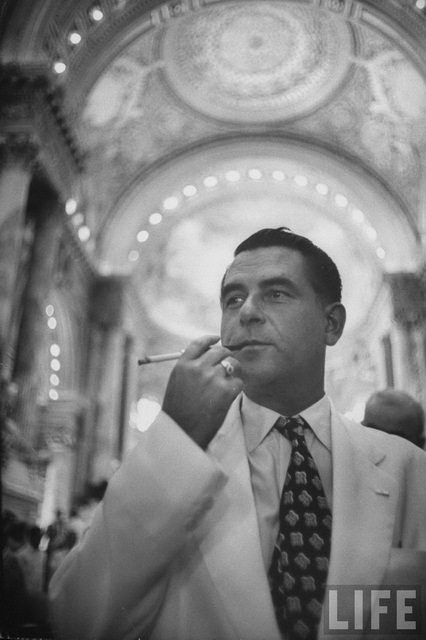 American Ambasador to Thailand John E. Peurifoy smoking cigarette in holder, during eight-nation SEATO conference. 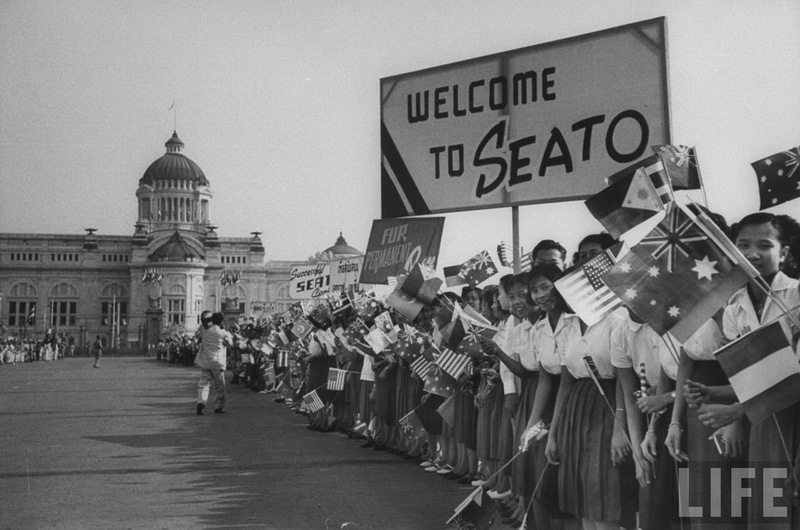 School children outside Ananda Smakom Palace bearing signs in English and Thai waiting to hail arrival of delegates to SEATO conference.